• Please inform us if you would like to ride long tail boat at Damnoen Saduak. There are 2 options. 1) Ride private motor boat from the outside canel into the market. 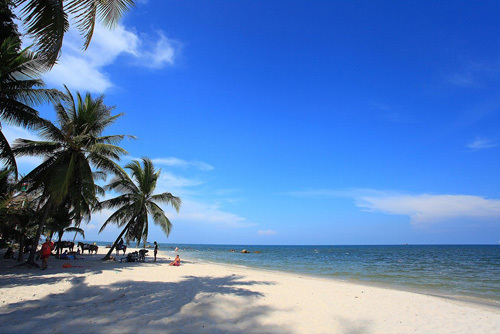 The fee is 2,000 Baht for 1 hour per boat (4 pax). 2) Ride paddle boat around the inner market. The fee is 300 Baht per person for 45 mins. Fee can be paid at the jetty. 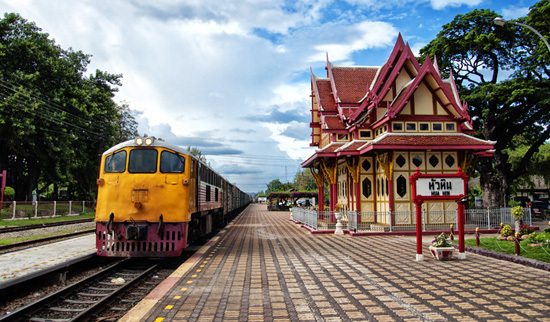 This day trip lets you take in the unique Damnoen Saduak Floating Market which is along the way to Hua Hin. 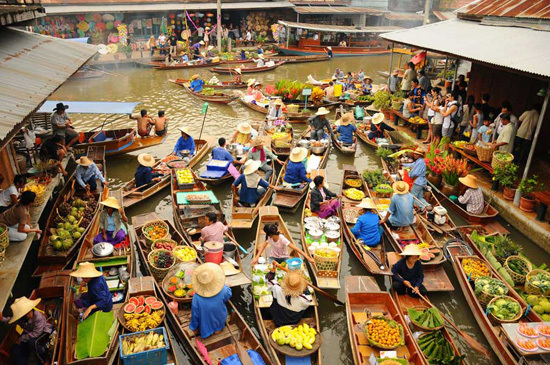 After the morning at this exotic floating market we then visit Hua Hin iconic attractions. 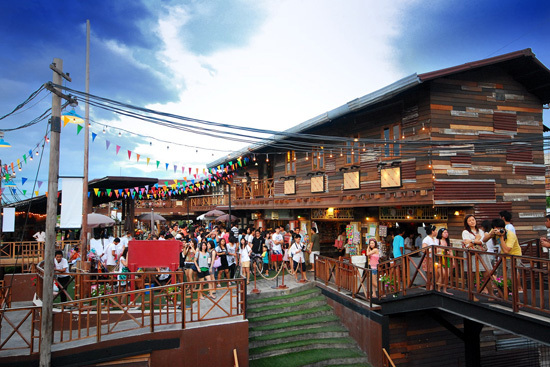 Damnoen Saduak Floating Market is located at Damnoen Saduak District, Ratchaburi Province, about 105 km west of Bangkok. King Rama IV commissioned the digging of the canal over hundred years ago. Then the market took place on the canal which was the life blood in the time when there were no paved roads and people used wooden boats for commuting and trading. 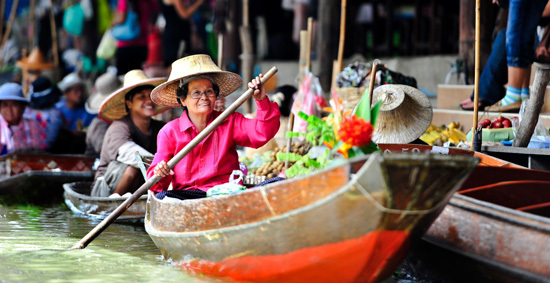 At present Damnoen Saduak Floating Market is a famous attraction due to its exoticness and its vibrancy. The sight of local merchants paddling their wooden boat full of fruits of many contrasting colours has drawn visitors all over the world to the market. It’s a vibrant place great for photo taking and soaking up the atmosphere which promises to fill your senses with exotic sight and sound.